Pulmonary Hypertension - Arizona Pulmonary Specialists, Ltd.
xxxPulmonary Arterial Hypertension is a progressive disease of the lung blood vessels. Although it is not common, increased awareness has led to an increase in diagnosis in the past decade. Like many diseases, it is asymptomatic in its earliest stages. With time, pressure inside the pulmonary arteries increases and the blood flow through those vessels decreases. Eventually the right ventricle starts to fail and fluid retention, marked fatigue and fainting episodes develop. Without treatment, most patients with PAH will not survive five years. In the past 20 years, researchers have made tremendous progress in understanding the disease and developing effective treatments. There are many causes of PAH. There is a familial form of the disease. It may be associated with connective tissue diseases such as scleroderma or lupus. Blood clots may causes PAH. The use of certain diet pills and stimulants such as methamphetamine also causes PAH. Congenital heart disease often leads to PAH. Patients with no identifiable cause are labeled as having Idiopathic PAH (IPAH). The diagnosis of PAH requires a complex battery of tests including CT scans, echocardiograms, laboratory tests, six minute walk tests, breathing tests and a right heart catheterization. Patients with the existing disease are followed with a carefully crafted protocol of testing. Twenty years ago there were no approved medications that effectively treated PAH. In 1995, Epoprostenol (Flolan) was approved. We currently have 13 medications that are approved. Ongoing research will add to this number over the next five years. Although there is no cure, the prognosis has improved substantially. Lung transplantation remains an option for patients not responding to aggressive medical regimens. 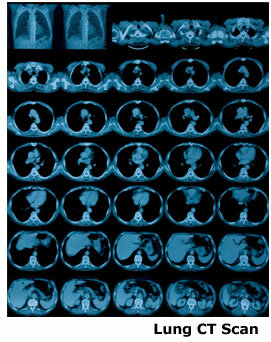 PAH is a complex disease that requires dedicated expertise in diagnosis and management. Doctors Feldman and Ahearn are nationally recognized as experts in the diagnosis and management of pulmonary arterial hypertension. At Arizona Pulmonary Specialists, we have built a nationally recognized center specializing in the care of patients with PAH and other advanced lung diseases. We have two outstanding nurse coordinators to help manage our patients. In addition, we have a very active research program that offers the latest experimental treatments for our patients. The pulmonary hypertension association has recognized our program as a comprehensive care center - the highest designation awarded.